Under Armour Inc (NYSE: UAA) announced Monday that it hired Kasey Jarvis as its new chief design officer, replacing longtime designer Dave Dombrow, who focused on mainly footwear development. Jarvis comes from Black Diamond Equipment, a niche equipment manufacturer of hiking and mountaineering gear. Canaccord Genuity analyst Camilo Lyon maintains a Sell rating with a $13 price target. The change in design leadership is a clear acknowledgement that UAA’s creative output was sorely lacking and needed repositioning, Lyon said in a Monday note, reiterating that this has been Canaccord's contention all along and the main reason for its Sell rating. “In that regard, we applaud UAA for taking steps, however late they are, toward a potentially different outcome,” the analyst said. Even with Jarvis' addition, Lyon questioned whether his appointment signals a change in direction for Under Armour’s North American business or rather confirms that it will continue to slide and lose share. “We think the latter,” Lyon said. Under Armour has a 17-month go-to-market calendar, meaning the new hire’s impact will not be felt on product assortment for at least two years, the analyst said. The executive comes from a highly regarded yet technical equipment manufacturer, further solidifying the notion that Under Armour is not looking to make a much-needed transition toward sportswear and away from performance, a lagging category. What direct benefits Jarvis can bring to the business "are somewhat puzzling," Lyon said. Prior to joining BDE, Jarvis was at Nike Inc (NYSE: NKE) as a senior footwear designer. “We find it interesting that UAA, a $5-billion revenue company is only able to take design talent from a company that did less than $200 million in sales last year and elevate to chief design officer," Lyon said. "Why couldn’t UAA find someone from NKE, adidas AG (ADR) (OTC: ADDYY), or Lululemon Athletica inc. (NASDAQ: LULU)? Moreover, this raises doubts about the true level of success UAA is having with its Portland outpost that was meant to entice talent from its larger rival." 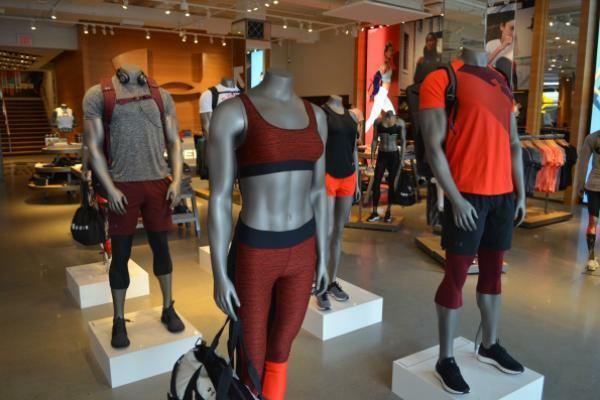 Igniting Under Armour’s product portfolio as its stands “will take nothing short of a Herculean effort," according to Canaccord. Under Armour shares were down 0.81 percent at $22.17 at the time of publication Tuesday. Editor's note: This story has been updated to remove a reference to a résumé gap on Kasey Jarvis' LinkedIn page that was cited by Canaccord Genuity. Jarvis spent more than eight years at Black Diamond Equipment, according to an Under Armour spokeswoman.